Ensure your cybersecurity policies remain in tact - even through encrypted communications. 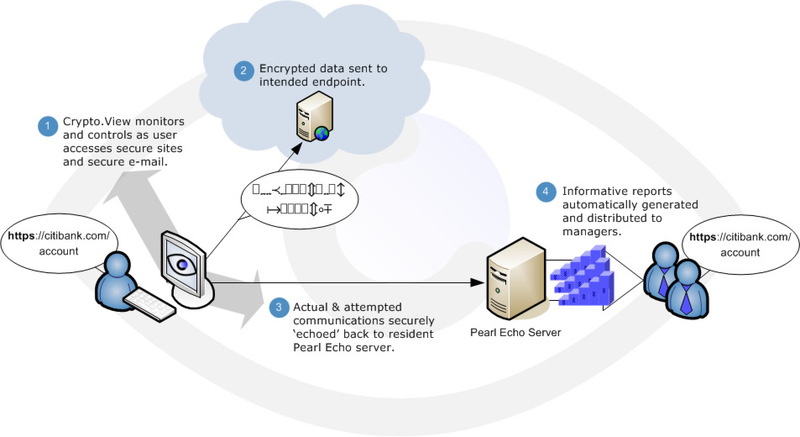 With Echo Crypto.View, access to secure sites is monitored and controlled just like unprotected communications. Secure web sites (HTTPS) can still be filtered the same way and by the same rules. Website.Echo's integration into the endpoint allows Crypto.View to manage encrypted data at the endpoint. Crypto.View reconciles what the end user sees and what is sent (or attempting to be sent) over the network.